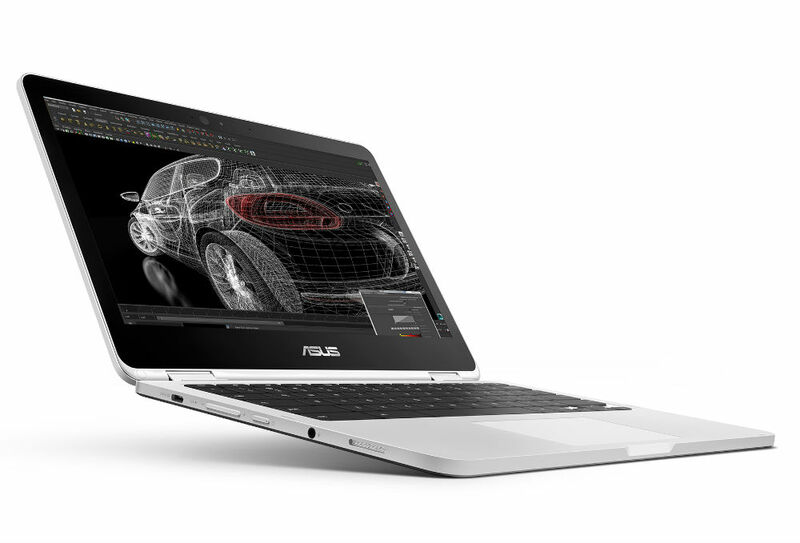 ASUS has a new Chromebook for CES 2017, the updated Chromebook Flip (C302). Featuring an Intel Core m3 or m5 processor, up to 8GB RAM, plus a 12.5″ FHD display, the Chromebook Flip maintains its functionality while also getting a few nice upgrades. According to ASUS, the keyboard received much love, with the latest C302 featuring a full size one-piece chiclet keyboard. It also comes standard with a palm rejection feature that differentiates between fingertip and palm contact to cut back on unintentional cursor movement. The Flip has been upgraded to USB Type-C ports, doing away with full-size USB. Not only that, but you’ll also find SD card support, something not even my $2000+ MacBook Pro offers. Thanks, Apple! To top it off, ASUS is still delivering the same “flip” hinge that allows users to turn the Chromebook into a tablet of sorts, perfect for Android apps on the go. The Flip C302 is priced starting at $499, available starting this week in the US. Here’s all the specs you’ll want to know about.